British post-war heritage threatened by demolition. 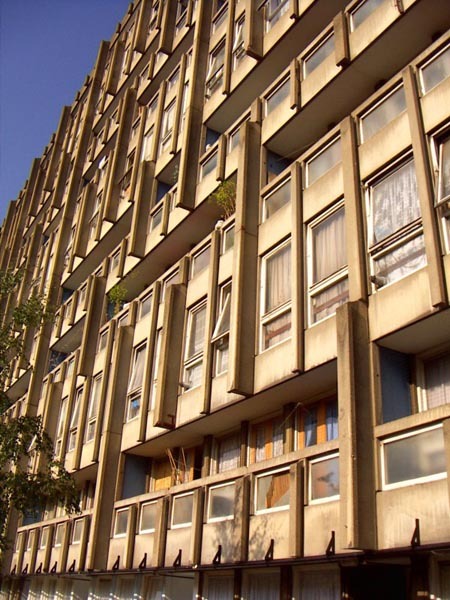 After the Pimlico School in Westminster (London), it’s now the turn of Robin Hood Gardens. Building Design Online has started a campaign to save this housing complex designed by Peter and Alison Smithson. If owner Tower Hamlets Council has its way, Robin Hood Gardens (designed in 1972) will be demolished. The complex was controversial right from the start and has suffered badly from vandalism. Demolition of the 213 apartments forms part of a sweeping redevelopment of East London. Architect Horden Cherry Lee calculated that renovating the dwellings would be economically unfeasible. But Building Design has started a campaign to have the building granted listed status and, in the process, prevent its demolition. This is not simply because we believe the building is architecturally important. The issue goes far beyond architecture and raises questions about exactly why vast resources are thrown at demolishing buildings simply because they are seen to belong to the unfashionable ideology of a previous era. And then of course theres the sustainability argument. Sign the petition on the Building Design Online website now.